There is nothing more exciting for our review team and editorial board than to get face masks in our inbox. It makes us go into slumber party mode applying and giggling like we are in our teens. 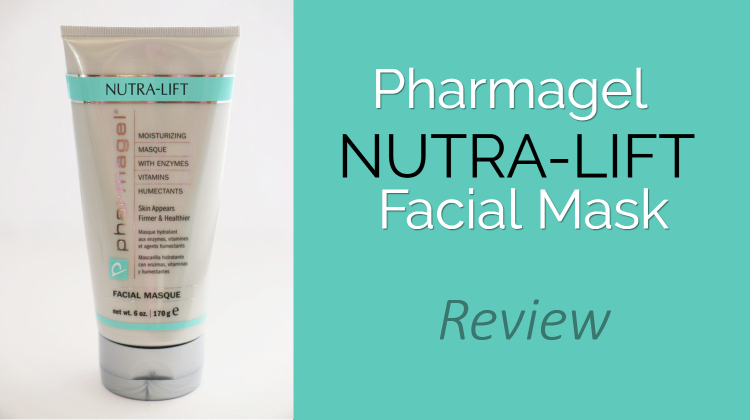 So when Pharmagel Skincare Company sent their Nutra-Lift Facial Mask for free for us to review, we were giddy with glee. Nutra Lift-Facial Mask is a fast drying kaolin clay mask which is formulated to work with the skin’s repair and renewal cycle. It leaves skin looking firmer, more youthful and have increased moisture retention. Nutra-Lift Facial Mask is ideal for those teens and adults suffering from acne. It is made with Glycolic Acid and antioxidant Vitamins B, C and E which stimulate collagen production to minimize facial contours. The application is easy but a bit messy like it is with most all clay-based face masks. To apply Nutra-Lift Facial Mask first clean the skin, apply to avoid the eyes and lips. Allow mask to set for 15-20 minutes. Rinse with lukewarm water and pat dry. It is perfect to do on a day or night you want some downtime, or with friends on a skincare night. Even though it says facial mask, it can be used on your chest, back, legs, etc. Our review and editorial team feels the mask is ideal for those fighting the acne battle either on the face or back. Nutra-Lift Facial Mask is ideal to add to the arsenal to get acne free skin.